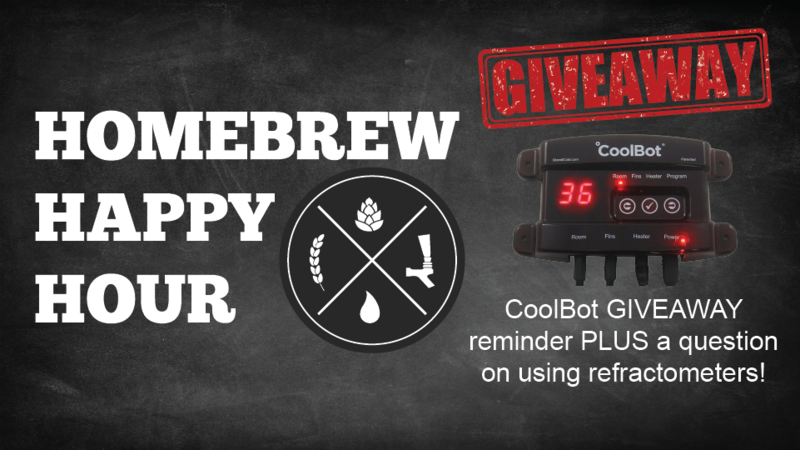 Last call for our CoolBot Giveaway, Homebrewer! Along with our friendly reminder that this weekend, we’re giving away the amazing COOLBOT (link above), it’s Friday and we have a BRAND NEW episode of our homebrew podcast for you guys. On today’s episode: it’s Joshua, Todd, and James discussing a question about using a refractometer and potentially getting away from using a hydrometer at all. The pros of using both, the cons of each, and lots more was discussed. We hope you enjoy this episode as much as we did!